So what is metabolic testing? Most simply put, a metabolic test is a measure of how you utilize calories. Metabolic testing is the process of measuring how many calories you burn at rest and while exercising. Knowing how you utilize calories will help you to know exactly how to work out to burn fat and accomplish your fitness goals. With metabolic testing you can learn exactly how many calories you should be eating. 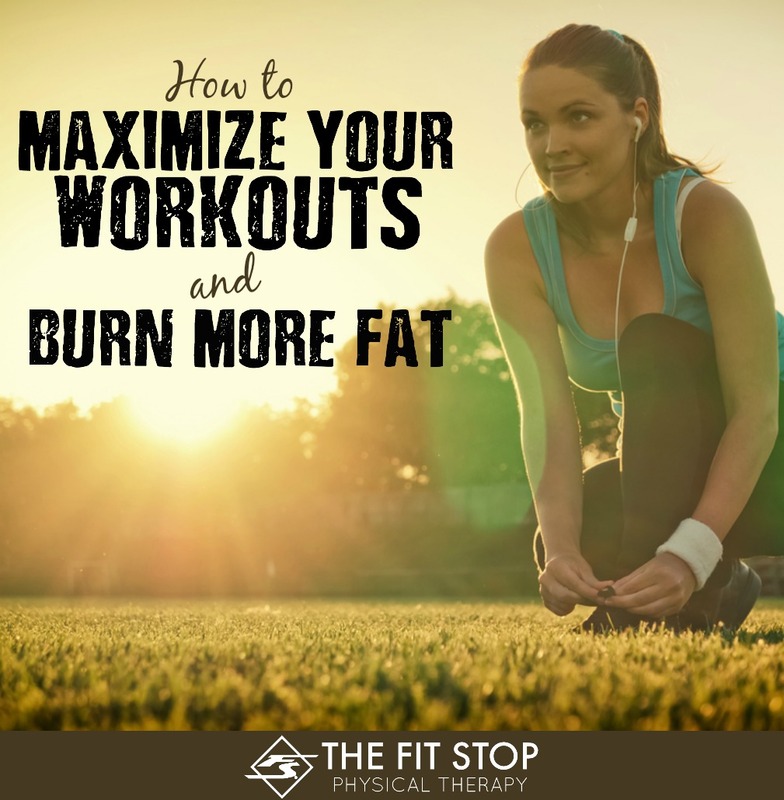 You will also learn exactly how to workout for YOUR body to maximize your fat burn. Getting an exact measure of how you burn calories will be your greatest tool in getting healthy and burning off the fat. 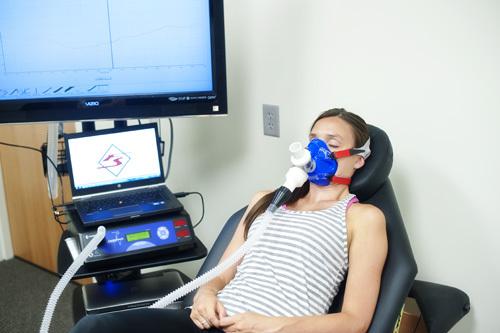 There are two main types of clinical metabolic tests, the resting metabolic rate test (or RMR) and the VO2 test (commonly referred to as a VO2 Max test). These two tests are the primary measures of how you utilize calories. An RMR is a measure of how many calories your body needs to keep your baseline body systems running. 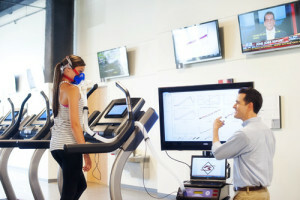 The VO2 test is a measure of how you burn calories while exercising. Many people simply think “can’t I just use an online calculator to get this information?” The problem with this is that it is simply an estimate. On average this estimate is 7% off. I have seen it as much as 30% off. This can be anywhere from a 150-800 calorie difference. That amount is HUGE! Being off by only 100 calories a day could equal 10 pounds a year! Again, it is critical to have an accurate RMR to set up any dietary restriction plan. No other estimation of RMR can give you the clinical accuracy of metabolic testing. So if you’re stuck but serious about losing weight, it’s time to get tested. VO2 testing is also a critical piece of the fat burn puzzle. When we exercise the goal in our minds is to burn a few calories (hopefully fat), build lean muscle and generally look and feel better. We set out with good intentions, but often our efforts are somewhat aimless because we don’t really know the optimal range for our body to burn off the fat we’re intending to. What I’ve seen over and over again is people who come to me and report how they’ve been killing themselves in the gym with no result. Scratch that…the result is usually hunger, frustration and overuse injuries. The key to avoiding exercise burn out is to know how you burn calories best to lose the fat you want to burn off. If you can learn what is most effective for your body you can make sure your efforts are targeted at your real goals. Metabolic testing tells us how to get this accomplished. During your VO2 metabolic test you will exercise while being measured for how many calories you burn. Our equipment can measure exactly how many calories you are burning at each moment. We can also determine if you are burning fats vs carbohydrates and protein. Based on your VO2 test we can work together to set an optimal training protocol to help you burn the fat and accomplish your fitness goals. You will find you lose inches and improve your cardiovascular fitness like never before. You’ll learn how to finally tap into your fat reserves and burn what you’ve always intended to burn with your exercise. I will warn you now, most exercise routines which are popular right now in the fitness industry aren’t very good at burning fat. Most simply burn carbs and break down your proteins. This causes you to get hungry, require a lot of down time to heal to avoid injury, build a bulkier body shape and over time can work to slow down your fat metabolism. With metabolic testing you’ll get a custom exercise routine designed to help you burn fat and improve your fitness. You’ll find you have more energy, less injury and develop the body shape you’ve been aiming for. Sound too good to be true? Well the key to remember is that it metabolic testing is based in science, not fads. The problem is that the science used to be too cumbersome and expensive to be used in the clinic. It used to only be available in science labs at universities. Changes in technology have allowed Metabolic Curve to bring this science to you to help you maximize your results. Interested? Good! So where do you get tested? That answer may be the simplest one of all. Fit Stop Physical Therapy offers the Metabolic Curve program at all of its locations. We have 3 locations along the Wasatch Front in Farmington, City Creek and Murray and also in the Wasatch Back in Heber. Call ahead to schedule a time to get your test scheduled so you can learn how to maximize your fitness efforts and accomplish your goals. I’ve personally found for myself that I operate at a higher metabolic rate when I break down my meal intake into 5-6 meals throughout the day. That said, your test sounds promising. Wish I lived close by.